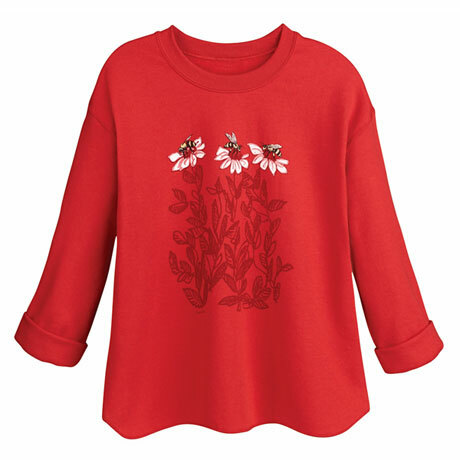 Three sweet honeybees hover over brilliant flowers; you'll bloom every time you wear this vibrant, happy top. Shirttail hem and turnback cuff sleeves. Machine wash. High-contrast printing on casual fleece made of 50% cotton/50% polyester. Imported. S(6-8), M(10-12), L(14-16), XL(18), XXL(18-20W).